Alpharetta is an affluent suburb of Atlanta that spreads across two of Georgia's most popular counties - Fulton and Forsyth. Home to more than 58,000 people, the city is easily one of the most favored suburbs of the state capital among those relocating to north Georgia for a number of reasons, including the area's economy, its excellent school system, and the quality of work that's being done by custom builders in Alpharetta GA.
Alpharetta GA is a city that offers its residents a host of benefits. For starters, the climate is just sublime. The average daily high is a comfortable 70 degrees while the annual low averages a comfortable 48 degrees. With mild winters and hot summers, Alpharetta allows for year-round outdoor recreation. The city also employs more than three times its total population, thereby giving it an incredibly active economy and one of the nation's lowest unemployment levels. The city's top five employers include AT&T Inc., Verizon Wireless, ADP, Inc., McKesson Provider Technologies, and LexisNexis RIAG. Publications such as USA Today and Yahoo! Internet Life have named the city one of the leading locations for technology-focused businesses, and with such easy access to Atlanta Hartsfield International and several of the nation's leading research universities, Alpharetta sits as the ideal location for companies forging the modern economy. As a testament to its commitment to growth, Alpharetta also offers one of the highest rated educational systems in the country. Served by the Fulton County School System, Alpharetta has 15 elementary schools, 11 middle schools, and 10 high schools. There are also six private schools in the city and Georgia State University, Georgia Perimeter College, the DeVry Institute of Technology, and Reinhardt University each operates satellite campuses in Alpharetta. Alpharetta is a true family-friendly city that offers an abundance of recreational and entertainment opportunities. From the Alpharetta Skate Center and Alpharetta Arboretum to the Downtown Historic District and the Verizon Wireless Amphitheatre at Encore Park, there is an endless variety of things to see and do in the city. Plus, those who relocate to this fast-growing city are also conveniently located to enjoy everything the state capital has to offer, including some of the country's best restaurants, sporting events, shopping malls, museums, and arts and cultural events. Combine all of this with state-of-the-art community services, excellent medical and emergency services, and superior law enforcement, and you will be relocating to not only one of the best cities in Georgia, but one of the best in the entire country. 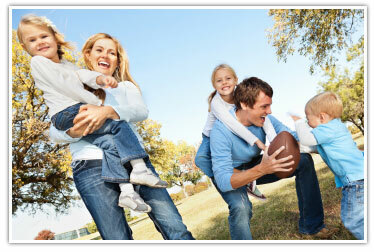 Alpharetta has everything you need to give your family the life they deserve. With its excellent schools, abundant real estate, strong job market, and top-tier public services, making the decision to relocate to Alpharetta GA is easy to do. And, with Southland's custom builders in Alpharetta GA handling your new home's design and construction, you'll have the perfect new home in which to start your new lifestyle. With over 100 floor plans to choose from and an array of top-of-the-line interior appointments, Southland Custom Homes is among the top-rated custom home builders in Alpharetta, GA. In addition to providing a huge selection of plan options, Southland Custom Homes will even work with new homebuyers to alter specific floor plans so that the end result is exactly what the buyer wants. If you are looking for a custom home builder in or near Fulton County or Forsyth County, then Southland Custom Homes is sure to meet and exceed all of your expectations.